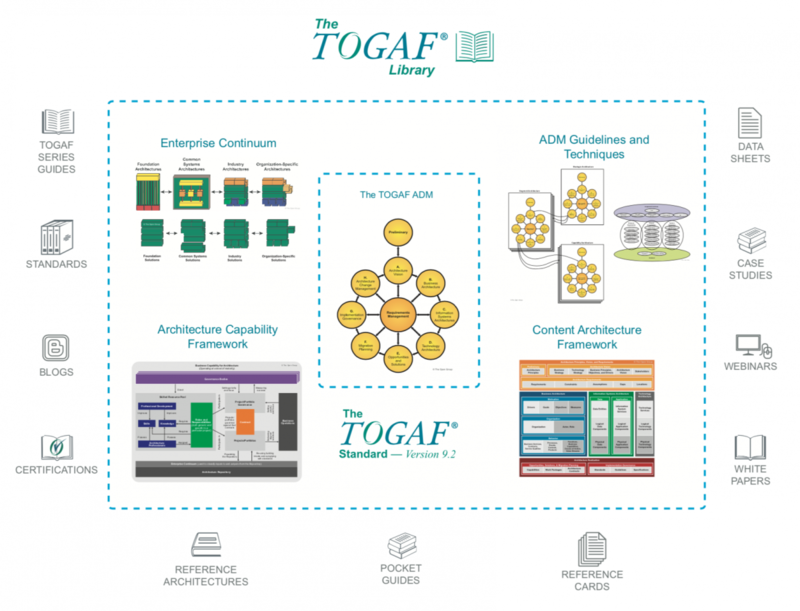 The TOGAF standard provides a framework for effective EA delivery and is supported by a set of documents that provide specific guidance about how to use and adapt it to support new trends. This set of documents reside in the TOGAF Library and represent a whole new body of knowledge that EA practitioners can use since they are compliant with the certification requirements based on the new features in the latest release. The TOGAF Standard, Version 9.2 has been redesigned and restructured into a smaller publication that includes separate guides, which will also be incorporated into the future TOGAF certification program. The core of the TOGAF framework remains the same in the new version of the standard with enhancements to Business Architecture, and the Content Metamodel. There is also additional focus on Digital trends and business transformation beyond IT. The new version of the standard is supported by a number of TOGAF Series Guides. The Business Architecture content is supplemented with titles in the TOGAF Library, including guides on Business Capabilities and Value Streams. Security Architecture is enhanced with a guide in the TOGAF Library providing detailed guidance on how to integrate risk and security into a TOGAF Enterprise Architecture, including a detailed mapping on using the TOGAF framework together with the SABSA framework. Furthermore the TOGAF Library contains industry reference models and practical guidance on how to use the TOGAF standard.